I’ve been pretty vocal about my love of Smashburger since discovering it last year. Place your order at the counter, take your number to a clean, comfy booth, and in about 5 minutes your food is delivered hot and fresh. With a smile. And a check-back! This is fast food, but not Fast Food. You can imagine my excitement, then, when Smashburger invited me to a special VIP blogger event recently. (Who says blogging doesn’t pay?) Several local bloggers and I were treated to a behind-the-scenes look at a Smashburger kitchen, and got to sample a number of items from its diverse menu. This was a great opportunity for me, since I rarely have the willpower to stray from my usual order (the “New Jersey Burger,” shown above, with bacon, blue cheese, crispy onions, grilled onions, lettuce and tomato). I only wish I had paced myself during the sampling. By the time the Haagen-Dazs shakes came around, I was almost too full to enjoy them. Almost. 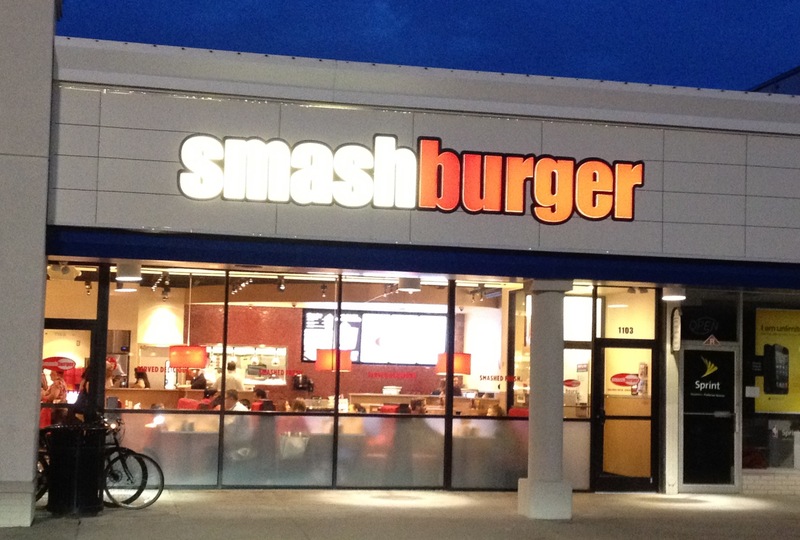 So what makes Smashburgers so good? I learned the secrets during my tour of the kitchen. 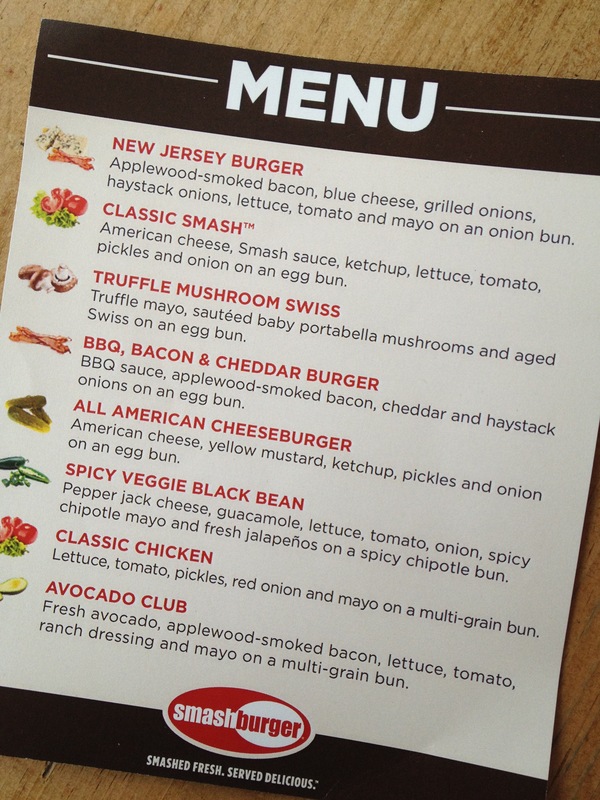 All Smashburgers start out as a lightly-packed ball of fresh, 100% Angus beef. “Like a fluffly snowball, not a hard-packed snowball,” explained franchise owner Scott Gillman. 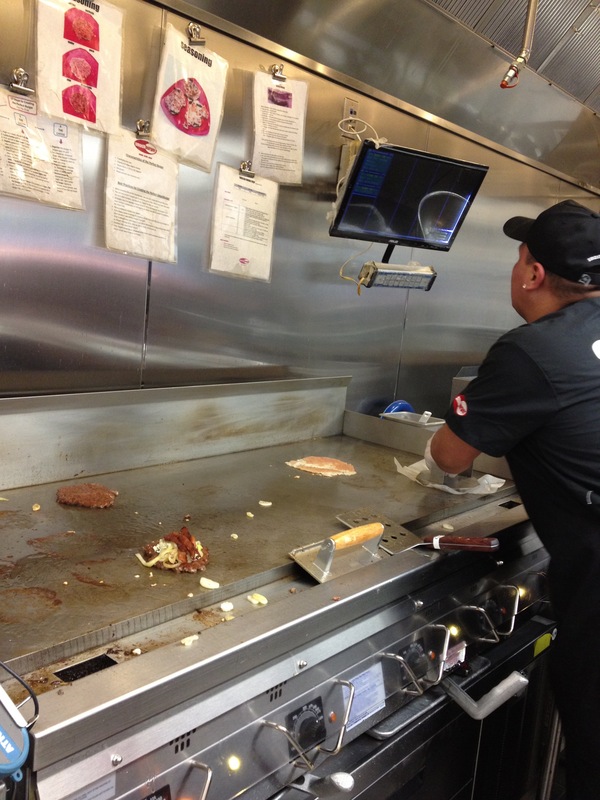 Then the ball of meat is placed on a hot griddle and “smashed” into a patty for a few seconds to get a good sear. That’s the only time the burger is smashed, so no need to worry about all the juices running out. A ball of Angus beef getting smashed into a burger. The internal temperatures of the burgers are monitored to ensure perfect cooking time, and then the rest of the burger is assembled. As a self-proclaimed foodie, I appreciate the range and freshness of burger topping options – from avocado and jalapeños to applewood smoked bacon and pepper jack cheese. And those crispy haystack onions! The Truffle Mushroom Swiss burger was a big hit with the bloggers. 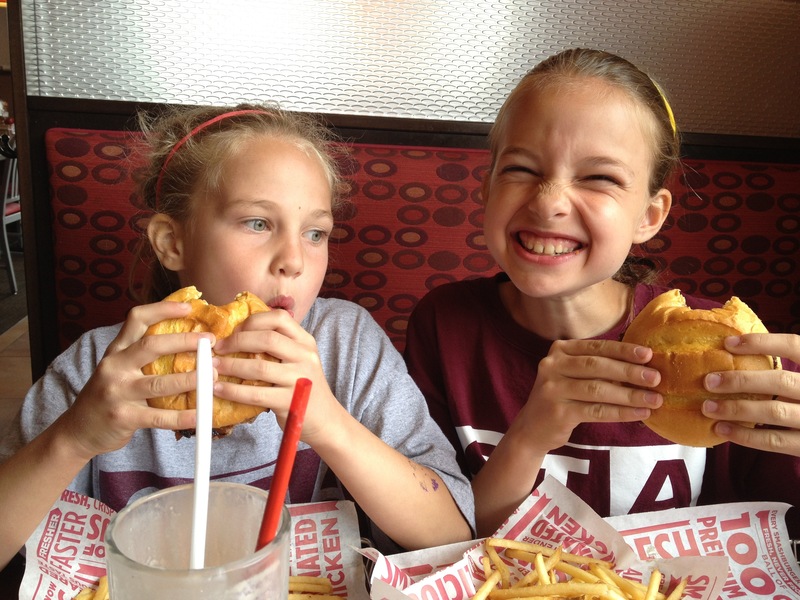 Even though the burgers play the leading role at Smashburger, there are enough other menu options to satisfy everyone in the family – including kids’ meals, “smashed” chicken sandwiches, beef hot dogs, a vegetarian (but not vegan) black bean burger and a number of hearty salads. Sampling menu from the event. Good thing I skipped lunch. Sensing what several of us must have been thinking after we finished our caloric Smash feast, bubbly and slim franchise co-owner Andrea Gillman suggested that it was possible to customize a Smash meal any way you wanted. She says she regularly orders a plain Smash Chicken with tomatoes, lettuce and avocado. Sounds healthy and Weight Watchers friendly, but I would never ever have the willpower to walk into a Smashburger restaurant and order that. I’m sticking with the New Jersey burger (with barbeque sauce instead of mayo), even if it means a few extra hours of exercise in exchange. Well worth the tradeoff. Updated 5/31/13: Congratulations to the two winners (selected using Random.org’s randomizer): Heather B. & Susan H. Your gift cards will be mailed soon. 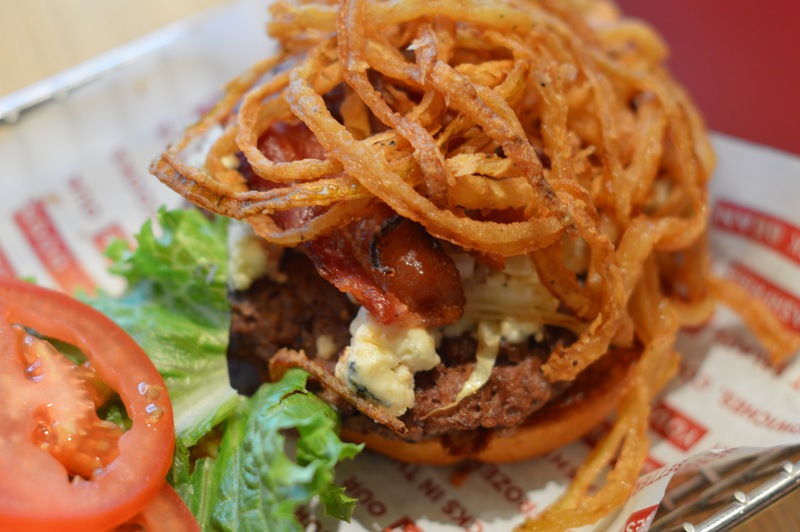 Smashburger is America’s fastest growing, fast casual “better burger” restaurant with 200 corporate and franchise restaurants operating in 29 states and in four international countries. 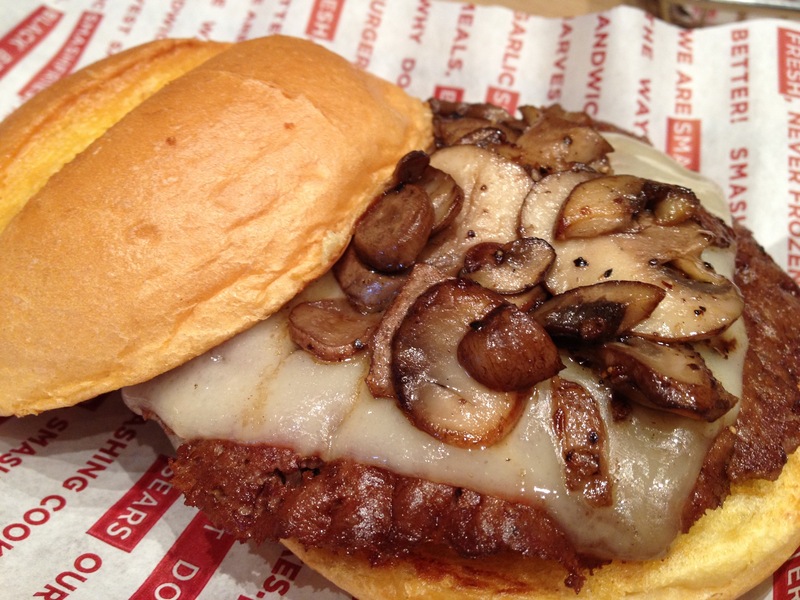 To learn more, visit www.smashburger.com. This entry was posted in Local, Reviews and tagged eating out with kids, family restaurants, fast casual restaurants, local restaurants, New Jersey burger, SmashBurger by subeeskitchen. Bookmark the permalink. I know this is crazy but I always order a salad at SmashBurger! It is the BBQ chicken ranch salad (not healthy in the least) but it is so good! 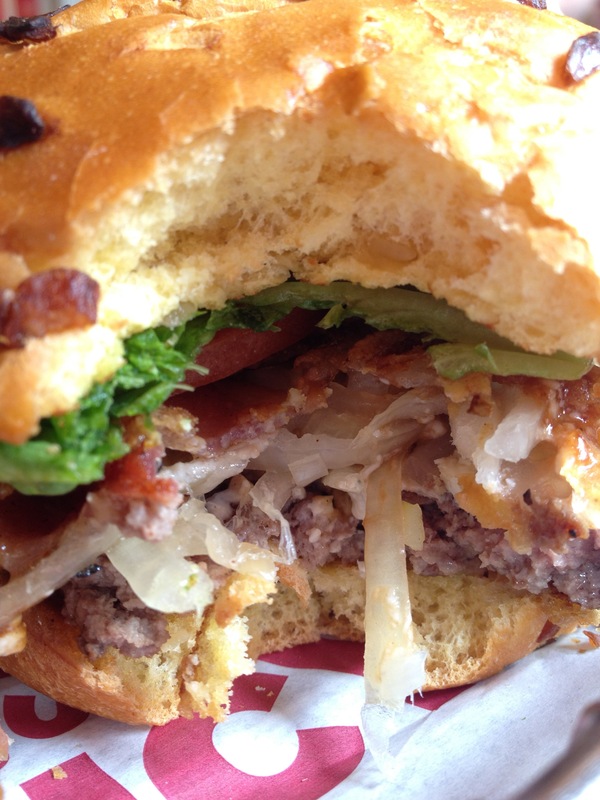 I’ve never been to a Smashburger restaurant but, after reading your post, I’ll definitely be trying it soon! It looks delish!!! I love the NJ burger as well. I recently took my Mom and she stated that it was the best burger she has ever had! Fresh, juicy, delicious! 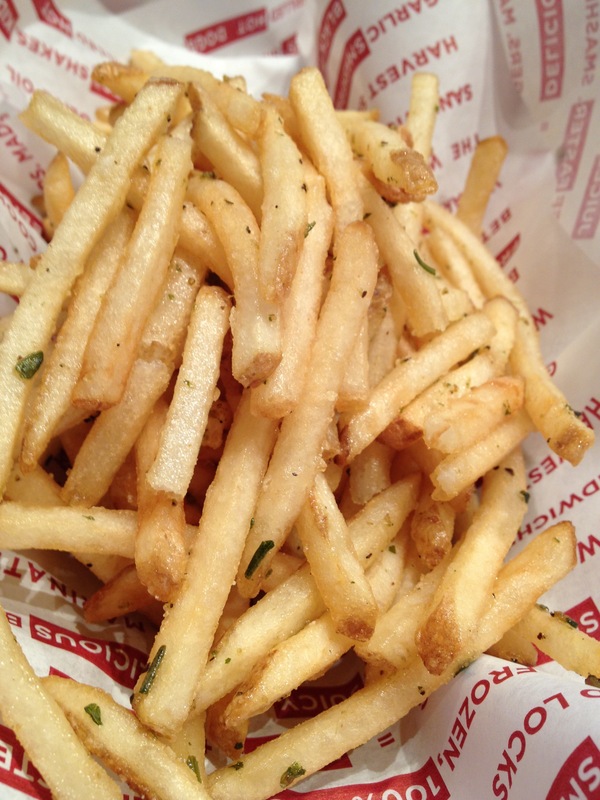 Went there for lunch today; love the rosemary and garlic fries. 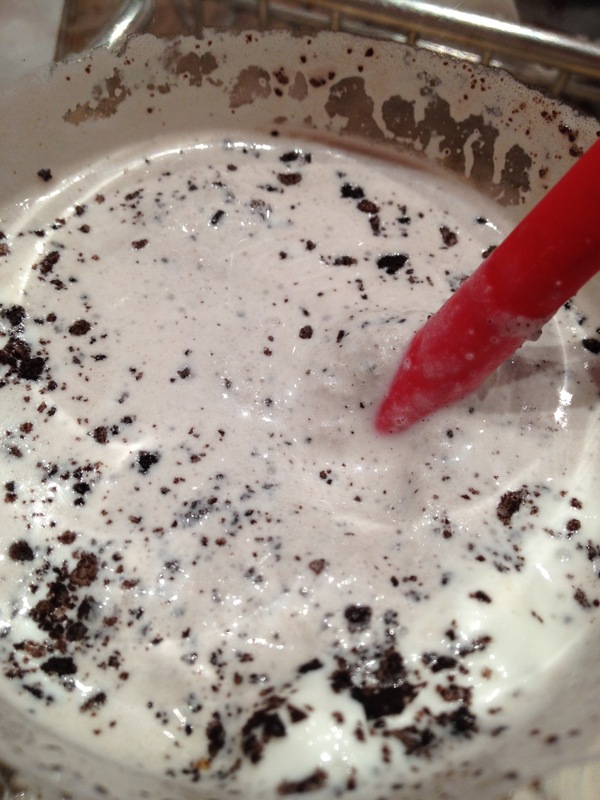 I need the oreo milkshake today.. 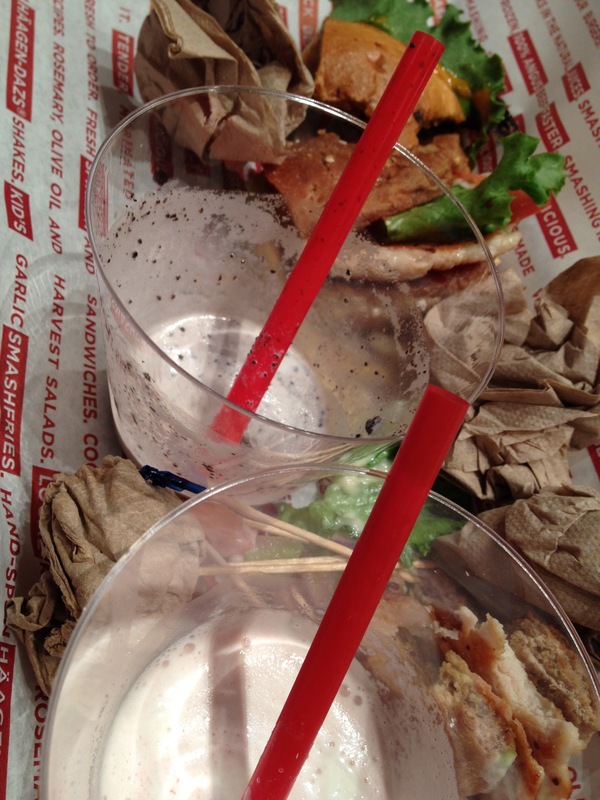 I want to try Andrea Gillman’s suggested chicken sandwich at Smashburger next time I go – less guilt producing!